In the Bible, the heart is regarded as the seat of our emotions, passions, attitudes, and moral choices. Its condition is vitally important to our spiritual and emotional well-being. Do you have a thankful heart? It’s very important for us to nurture a thankful heart, to receive more of God’s blessings. Once the heart if filled with the goodness of God, it flows out of the mouth as words of thanksgiving and Praise. Most of the time I have seen people who are silent spectators of worship services, family prayer, corporate prayer etc. We must learn to give God all the praises he deserves. Don’t forget that He is jealous for us and our words. God expects us, who are His created beings, to come to His presence with a heart of thankfulness for what He has done, for what He is doing and for what He is about to do! The more we are thankful for all His benefits, the more we are enhancing our relationship with Him. When we are thankful for the goodness of God in our lives, it touches the very heart of God and encourages Him to shower even more blessings upon us. 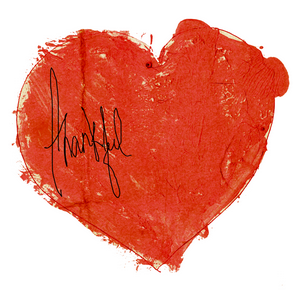 A thankful heart is truly a floodgate to the blessings and goodness of God in our lives! Let’s look into few scriptures from the Bible that suggest us to be more thankful for all of God’s benefits. God allows painful situations into our life for a reason, and our gratitude motivates us to look for that purpose. In addition, a grateful attitude makes us aware of our dependence upon God and consequently builds our trust in Him. I Thessalonians 5:18 says that, we must “Give thanks in all circumstances; for this is God’s will for you in Christ Jesus”. We very often teach our kids to be thankful to everyone who shows favors on them. But how better it would be, if we were thankful to God in circumstances. We learn from the life of David and Job that they were not only thankful for the blessings but for the struggles and the sorrows as well. David says in Psalms 34:1, “I will extol the Lord at all times”. We see another interesting scripture in Habakkuk 3:17-18, “Though the fig tree does not bud and there are no grapes on the vines, though the olive crop fails and the fields produce no food, though there are no sheep in the pen and no cattle in the stalls, 18 yet I will rejoice in the LORD, I will be joyful in God my Savior”. Is it possible for us to be thankful at times of sorrows and troubles? Yes, we can! We must know that, God is sovereign and nothing happens without His knowledge. The troubles and struggles are testing ground for our faith and these help us to be better followers of Jesus Christ! The Lord has shown me recently how important and vital a thankful heart is to our spiritual health. With thankful hearts, we can even touch the very heart of God, and King David even told us that when we approach God, enter into His gates with thankful hearts! Our Spirit man is always connected to the presence of God, hence when we continually thank and praise God it brings inner healing! In John 11:41-42 – 41 we read about the story where Jesus raises dead Lazarus, “So they removed the stone. Then Jesus raised His eyes, and said, “Father, I thank You that You have heard Me. 42″I knew that You always hear Me; but because of the people standing around I said it, so that they may believe that You sent Me”. Much before Jesus brought Lazarus back to life, He gave thanks to God for the situation as these. Jesus knew His father (God) would always hear Him but yet, He chose to thank God thus, setting an example for us to follow. We don’t have to wait for the healing or the deliverance to come to thank God, but we can start doing it much before we see anything happening! This attitude will always keep us positive and help inner healing. Thanking God focuses our attention on Him rather than our circumstances. When we start thanking the people around us for the good things that they have done to us then we are making our relationship stronger and meaningful. This would enhance trust in the relationship and also multiplies our happiness! In Luke 9:16-17- 16, we see a scripture portion where Jesus fed multitudes of people with just five Loaves and two fishes. “Taking the five loaves and the two fish and looking up to heaven, he gave thanks and broke them. Then he gave them to the disciples to distribute to the people. 17 They all ate and were satisfied, and the disciples picked up twelve basketfuls of broken pieces that were left over”. Jesus thanked God for the opportunity to serve people. If the boy who had got the loaves and the bread hadn’t given it to Jesus then there wouldn’t be the happiness that came after Jesus fed the crowd. But remember it all began after Jesus thanked God! A thankful heart shifts our focus from what our life lacks to the abundance that is already present. In addition, behavioral and psychological research has shown the surprising life improvements that can stem from the practice of gratitude. Giving thanks makes people happier and more resilient, it strengthens relationships, it improves health, and it reduces stress. Almighty God, I thank You from the bottom of my heart for this wonderful thing that has happened to me. I know it is the result of your goodness toward me, and I pray that I may accept it as I should. In a world filled with many sufferings and sad occasions I am fortunate to be blessed in this way. I offer You my sincere gratitude and promise to remain united with You in good times and in bad. Amen.